This week on Dezeen, Anish Kapoor called for artists to engage with issues such as nationalism, Brexit and Donald Trump, and the first images of the Obama Presidential Library in Chicago were revealed. Speaking to Dezeen, Anish Kapoor said that artists shouldn’t shy aware from “real-world questions” in difficult political times, after forming a coalition to confront right-wing populism earlier this year. 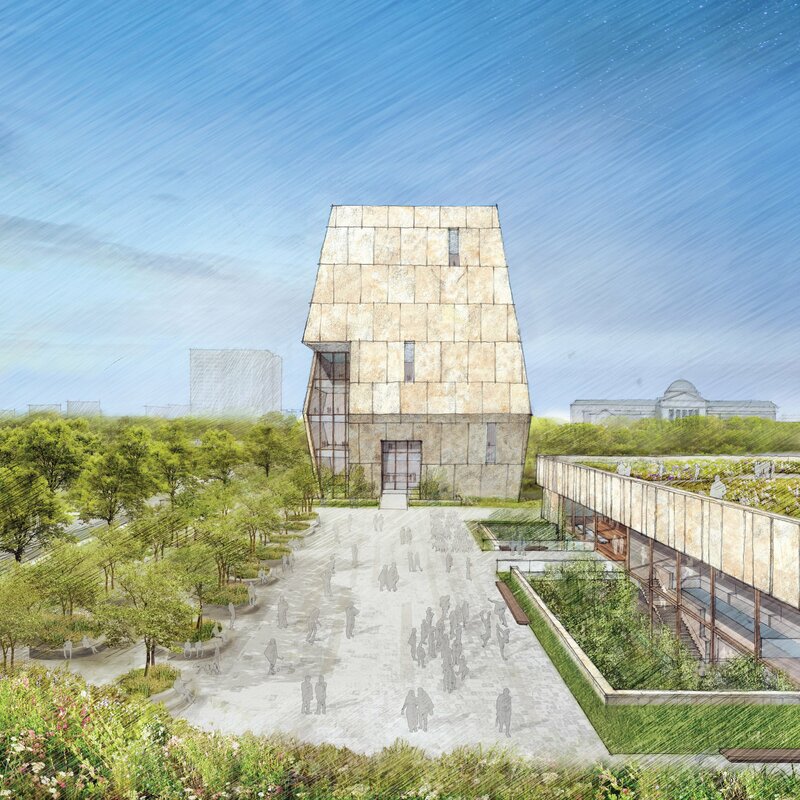 Former US president Barack Obama and wife Michelle presented the concept design for the Obama Presidential Library, designed by Tod Williams Billie Tsien Architects. Also this week, the United Nations High Commission for Refugees mothballed 10,000 of IKEA’s award-winning refugee shelters over concerns about the product’s vulnerability to fire, after it emerged that IKEA was already aware of design flaws and safety risks. Billionaire Elon Musk revealed plans for beating traffic that would see an underground network of tunnels transporting cars on high-speed skates, and architect Mark Dytham claimed that drones will bring profound change to architecture and cities. Swiss architect Peter Zumthor revealed designs for a trio of new buildings at the Renzo Piano-designed Fondation Beyeler art gallery in Riehen, Basel. Australian studio Double Days launched a directory of female creatives that can be used by conference organisers to source female speakers, and New York company Egg Collective brought together furniture and homeware by female designers for an exhibition. Leading design gallerists claimed new fair Nomad is the future for collectible design fairs and artist Wendell Castle said collectible furniture is a burgeoning market, but still a “relative bargain” compared to art. Ahead of New York’s Collective Design fair starting this weekend, we rounded up six of the best furniture and installations that will be showcased. Popular projects included hyper-realistic renderings of a Swedish island villas by Ström Architects, Snøhetta’s prefab Gapahuk cabin and Neri & Hu’s ethereal chapel.